War correspondent Vasily Grossman’s heart-stopping depiction of the Ukrainian famine is a must-read, but he proved unable to grasp the sources of Stalinism, says Peter Arkell. 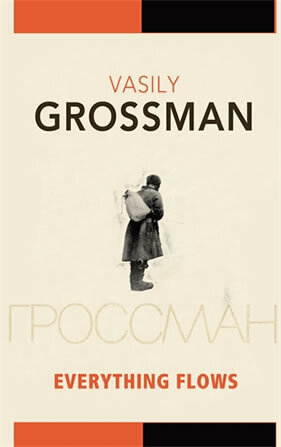 Soviet rank and file soldiers loved Vasily Grossman, probably the best-known correspondent for the Soviet army’s Red Star newspaper during World War II, for his courage on the front-line and tenacious pursuit of the truth. The writer accompanied snipers in Stalingrad on dangerous missions and interviewed generals at length in order to get a full picture. His immense popularity in the army made it hard for censors to tamper with his reports. After the war, Grossman, who died in 1964, long before Gorbachev’s glasnost which saw his books finally published, set his epic novel Life and Fate against the backdrop of the Battle of Stalingrad. It followed a large group of characters who try to find a meaning to their lives under the warped and dangerous circumstances of Stalinism and the war. A brilliant indictment of the meanness and selfishness encouraged by the state and the impossibility of anything resembling a normal life, the book fell victim to Stalin’s hack ideologist Mikhail Suslov, who told the author that it could not be published for at least another 200 years. The KGB secret police seized the manuscripts and famously “arrested” his type-writer. Happily there was a copy, microfilmed with the help of Andrey Sakharov, that was smuggled out of Russia to be published in the West in 1980. Everything Flows (evoking Greek philosopher Heraclitus’ famous aphorism) is Grossman’s final – unfinished – work. He began writing it during the mid-1950s, in the Khrushchev era. A new translation by Robert and Elizabeth Chandler with Anna Aslanyan, the second since 1972, has a decided rhythm and poetic quality and offers useful explanations of Soviet terminology. It is virtually two separate works under the same title. Whereas in Life and Fate, the conventions of the novel are retained, revealing the distorted nature of society through the thoughts, fears, hopes and actions of the characters, here Grossman mounts a ferocious assault on the twisted reality of life under Stalin. The opinions of the author burst through and take over the work. In the second half, Grossman offers meandering essays on Russian history, on the failure of the revolution, on Lenin and on Stalin. Through the character of Ivan Grigoryevich, a prisoner returned to “normal” society after 30 years in the Gulag, Grossman explores several layers of Russian society: the newcomers in the towns, the careerists, the informers and the bureaucrats; the other victims who fell foul of the arbitrary process of identifying the “enemies of the state”; and those who simply hid away and got on with life as best they could. Although Grossman evaded arrest and imprisonment (unlike his fellow writer Alexander Solzhenitsyn), he interviewed many former camp inmates and witnesses to dark episodes of Soviet history, such as the monstrous famine in the Ukraine in the early 1930s, in which millions died. He provides an insight into the psychology of the victims, their isolation and why they confessed to crimes they did not commit. Upon his release, Ivan Grigoryevich sensed in some former prisoners such fear of their own thoughts, such dread of being re-arrested that “they seemed more truly and thoroughly imprisoned than when they had been doing forced labour. Leaving the camp, working as a free labourer, living with his nearest and dearest, such a man would sometimes doom himself to a higher power of imprisonment, a more complete and profound imprisonment than anything he had been subjected to behind the barbed wire”. Grossman follows the fate of “dear, quiet little Mashenka”, torn from her family and her little daughter Yulia and sent to Siberia in a railway goods wagon for failing to denounce her husband who, for his part, was sentenced to 10 years for failing to denounce “terrorists”. Her despair turns to indifference as she is unable to bear the rigours of camp life or the thought of her “dear shy, anxious little Yulenka” abandoned in an orphanage. After wandering about and meeting, but failing to connect with, relatives and former friends who had made their peace with the system, Ivan Grigoryevich secures a room and a job in a small workshop for the disabled. His landlady, Anna Sergeyevna, a war widow, is a kind woman and he finds some peace and love with her and her nephew. She had witnessed the terrible famine in the Ukraine, brought about by the forced and total collectivisation of the farms, the expulsion or murder of the richer peasants (kulaks) and the need by the Soviet state to make some foreign currency by exporting grain. Her story is one of Grossman’s most powerful pieces of writing. His fury at the senselessness of it all, the helplessness of ordinary people and the pity of the famine is kept in check, just, but, it remains present beneath the prose, and drives it to great heights. Then there is the heart-breaking case-history of one of the families who starved, written with an understatement and an economy of words that heighten the tragedy of the individuals. Shy Vasily Timofeyevich lived for his wife and son, would do anything for them, but was helpless to find any food. This stark, imaginative account then gives way to a series of essays on history. Through his character Ivan Grigoryevich, Grossman flails about, trying to identify the origins of the repressive Stalinist regime. He speculates that, while the evolution of the West over hundreds of years was driven by the love of human freedom, progress in Russia was always linked to a growth in non-freedom and slavery. The Russian Revolution is seen as part of this tendency, and the Russian “slave soul” chose the path of non-freedom in 1917. In his view, Human freedom is the measure of a society and “there is no end in the world for the sake of which it is permissible to sacrifice human freedom”. He sees the 1917 revolution as a missed opportunity, when “moderates, fanatics, labourists, populists, friends of the workers, advocates of the peasantry, liberal factory owners, light-seeking men of the church, crazy anarchists” all competed for the eye of the masses, but “the slave girl’s gaze, the great slave girl’s searching, doubting, evaluating gaze came to rest on Lenin …” and more of the same. Many of the observations Grossman makes about Stalin hit the mark, but the whole of his analysis is really little better than a subjective rant, using general and unscientific notions like the “Russian soul” and “freedom” to give us just another alternative bourgeois history about the tragedy of Russia, featuring a few individuals; a great pity really in view of the quality of most of the book. And a great pity that, at any rate by the end of his life, Grossman was not able to discern the chasm between Lenin’s outlook – as revolutionary leader – and that of Stalin – the assassin and gravedigger of the revolution. Vasily Grossman is, belatedly, becoming known in the West as a truly great writer, the equal at least, of Alexander Solzhenitsyn. Both writers could not help but centre their novels on the life-sapping, freedom-denying society that had developed in the USSR under Joseph Stalin. Both writers undertook their own analysis of the history and the development of the Russian Revolution and both of them came to the conclusion that the origins of the “general coercion”, as Grossman called it, of the people by the state apparatus should be traced back beyond Joseph Stalin to the nature of the Bolshevik Party and to Lenin in particular. This controversial conclusion was made, of course, without any detailed knowledge of the history of the Communist Party in the 1920s after Lenin’s death, or of the analyses of the betrayal of the revolution made by Leon Trotsky and his followers.